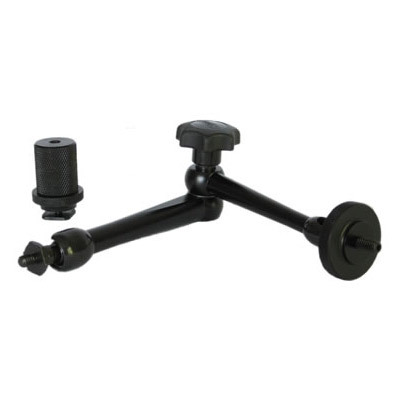 This Zylight 8" Articulating Arm secures to the Zylight Z50 or Z90 LED units via a 1/4"-20 stud and nut. The opposing end features a 1/4"-20 stud with a removable shoe mount. The arm moves in any direction and is locked with a simple twist of the locking knob.